Are Cotton Balls and Medical Balls The Same? This is a great question, since cotton balls have so many uses, including removing nail polish, removing make-up, cleaning up after a science project, and applying alcohol, to name just a few. So can a cotton ball be a medical ball? Certainly it can, but there are certain conditions that need to be met to ensure that a cotton ball is acceptable for medical or dental use. Health care professionals (doctors, nurses, dentists, hygienists, and more) use medical balls in critical applications for absorbency, such as after an injection or pricking a patient’s finger to test blood sugar. Medical balls are a utility product, and hospitals, clinics, and dental offices have used them for absorbent applications for years. 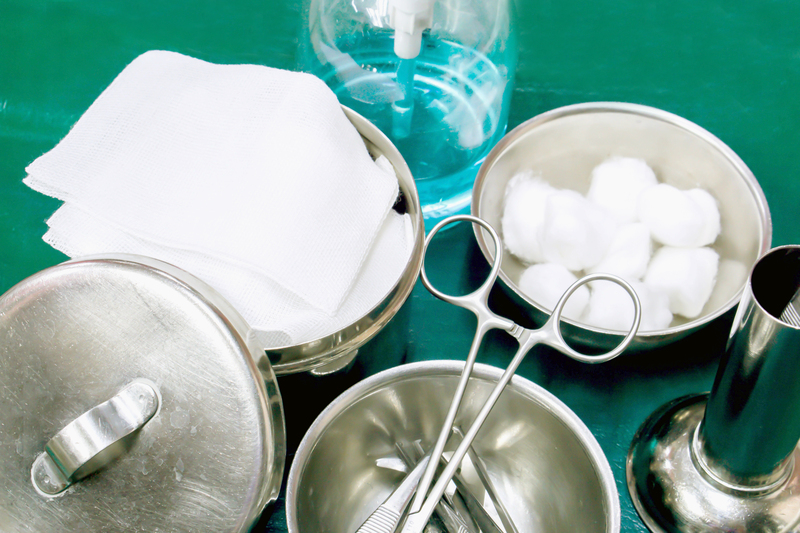 Let’s take a look at how medical balls differentiate from plain cotton balls. The best way to determine if cotton qualifies for medical applications is to learn whether or not it meets US Pharmacopeia Standards. Cotton must go through a purification process to meet US Pharmacopeia standards. If it hasn’t been purified, it will not meet USP standards, because non-purified cotton is also non-absorbent and doesn’t pass the tests for extractability that are indicative of purified cotton. Furthermore, purifying cotton for medical balls also removes the pesticides and herbicides used during its farming, leaving the cotton in its purest form. True medical cotton balls are certified that they meet the USP standards for purity. Manufacturers of medical cotton balls, like Richmond Dental & Medical, package them in special bags or boxes to assure integrity during shipping and warehousing. At Richmond Dental & Medical, we make cotton balls from crops grown in the US and we purify our cotton according to USP standards. To the contrary, non-medical cotton balls aren’t necessarily required to meet USP standards for purity and aren’t necessarily packaged to maintain purity. It’s important to note where the cotton balls are manufactured and determine if the cotton balls you are buying are free of contaminants. It’s also important to note whether the cotton ball is 100% cotton and whether the cotton is absorbent. The cotton fiber in any given cotton ball may or may not be from the US and may or may not be purified to USP standards. Also, packaging for non-medical or retail cotton balls may not be suitable for healthcare conditions. Whenever you’re purchasing cotton balls for medical and non-medical applications, it’s critical to know the quality of the product you’re getting. At Richmond Dental and Medical, our cotton goes through a rigorous, multi-step purification standard, so that every cotton ball manufactured in our Charlotte and Reno facilities is worthy of our name. For more information on cotton balls and other products for use by health care professionals, please contact us today.